Not everything you do to a property adds a premium to the price. A question I get asked time and time again from landlords, who think by maintaining a property where they replaced a boiler or a tenant, who through choice, changed the flooring and some minor decorative work feel they have done. So what does constitute value and how does this work with Walsall property? 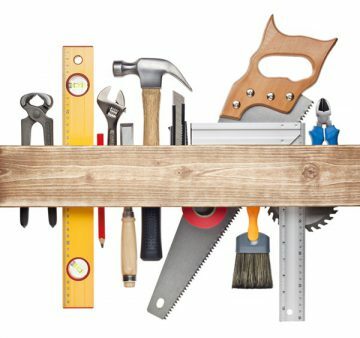 Redecoration – nobody wants a tired looking property. The amount of times I attend appraisals where the owner thinks a stained/ worn and smelly carpet is acceptable is countless. Now don’t get me wrong..I’m not saying spend thousands to create a palace standard property but keep it simple, clean and attractive. For that you don’t have to spend the earth and once you have a template it becomes easier to manage and maintain with minimal cyclical expenditure by tenant and landlord alike. If you are looking for better returns then a simple coat of paint with perhaps a feature wall thrown in will work miracles. 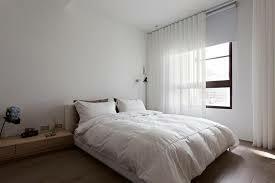 Here’s an example of a bedroom I did recently for a landlord I sourced a property for. Square footage – Can you add or re-purpose the space? An investor client of mine recently purchased a house and by going into the loft and adding a conservatory he was able to add another bedroom and a bathroom (achieving an extra £4,000 approx. in rent). By adding more floor space to the property the result was that the property yielded a total increase of 12% return on his money! If the floor space can’t be increased can it be re-purposed? 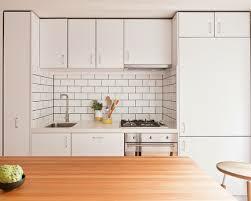 I met a client recently who was extending the kitchen which would give him, when finished, an impressive space but did it add current and future value? Using my knowledge of the local area I knew that by adding an extra room with an en-suite instead would add appeal to the property and make it more attractive thus increasing the overall rent by 21%!! Kitchens and bathrooms – A crucial component for a successful let these days. With kitchens and bathrooms available at rock bottom prices these days there is absolutely no reason your property should not have nice, modern kitchens and bathrooms. If you would like me to help you get the very best in discounts then do get in touch. Here is a picture of the next kitchen going into one of my personal properties and I sourced this for under £1000 (add £150 for the integrated oven/ hob). Flooring – As stated at the start old, tired and smelly carpets are a no-no in any property, let alone if you are looking to attract professional tenants to your newly acquired property. Durability is the key of course, but it’s got to look good. No point therefore in going for the cheapest, thinnest carpets – this is an investment. Have you considered something more hard wearing for communal areas and limiting carpets to the bedrooms? Wood or tiles work miracles in hallways and living rooms. You should be aiming for £12-£15psqm. Cheap doesn’t equal nice though, so make sure you choose something nice. Your builder – This is key to your overall success. Having a good relationship with your builder is key. After all, it’s him doing all the hard work, not you. Draw up a schedule of works – everything that you want doing. Write it down and even have it to hand to give to him at the quote stage. This will make things easier as nothing can be forgotten! Furthermore, payment terms are to be laid down in writing. X% in advance if he is sourcing materials, but labour can be done weekly in arrears. Remember to allow time for him to fix any snagging, and define a time period. For example if you are supplying the materials and it’s a 4 week job expect to pay him 25% each week bar the last week where you hold back 10% for a period of say 2 weeks in case of any “snags,” or things that come up after he’s walked out the door. If there is a particular element you are not happy with, reduce the payment accordingly, but do not withhold all the money – after all 90% of it will be done to satisfaction. If you are looking to purchase a property with letting in mind and you would like an expert opinion then by all means get in touch. Perhaps there is an angle that you haven’t thought of that could yield you better returns. Are you interested in having me source high yielding investments for you? Manage your refurbishment projects? Help you get the very best trade discounts? Contact me today. ← Today’s Buy To Let Deal, 3 Bed Terraced House, Telford Road, Walsall, WS2. With Yields Of 6.82%.